Lamie Pie Night Light 6.5"
6.5"H Resin-stone mix. Butterflies and firefly attachments. Cord with switch. The Lamie Pie character of the Tender Embrace collection represents the sweet innocence of a child. 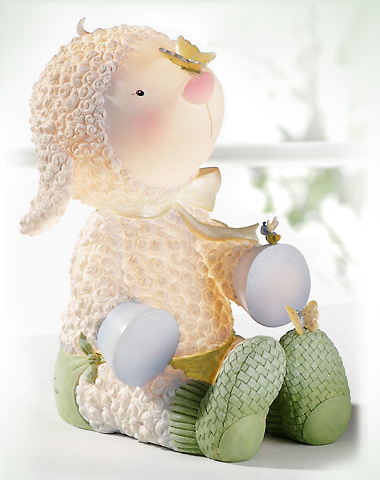 Sculpted into a fully dimensional night light, this adorable piece creates a soft warm glow for baby's bedtime. The hand painted detail and small attachments make this night light precious!